We had packaged soaps and 2oz shampoo and conditioner last season....thinking about going to dispensers for in shower body wash,shampoo . What's your take on This? As a guest I am so happy to have the dispensers. My hair is very long and thick and a tiny bottle of shampoo or conditioner doesn't work for more than one use. I don't like to ask for more! It's fairly rare, but occasionally they'll take everything that's not nailed down. All the soaps & toiletries, all the TP, all the creamers, sweetener packets, scratch pad, pen, even the yellow highlighter and paper clips I put in the desk in case some business traveler needs it. I just hope they fondly remember my place every time they look at those things. 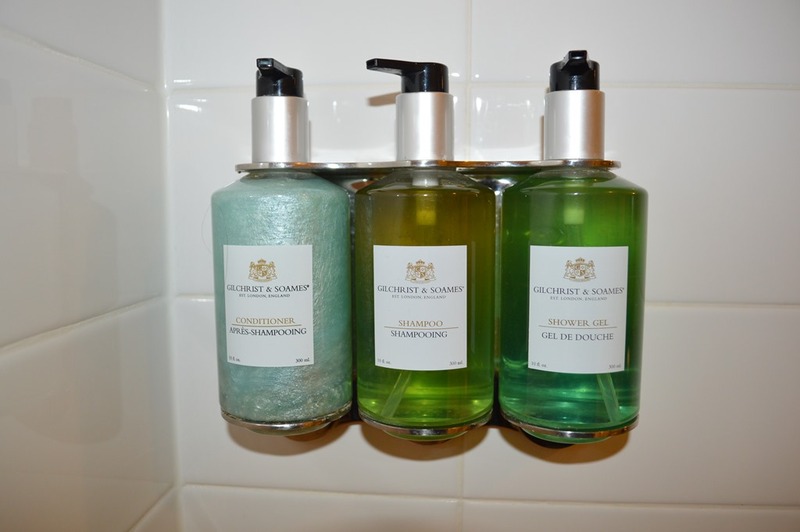 Question for innkeepers that use individual toiletries in their rooms: Do you restock the toiletries each day? I didn't used to restock bc I figured most guests travel with their own, and a single shampoo, bar soap, and lotion seem sufficient to me for a 2-day stay. (we have pump hand soap by the sink so the bar soap is meant for showers) However, a guest from the UK complained that I needed to give them another set for day 2. I was surprised bc they were spending a month in the US so I figured they'd have their own! So now I restock. Sometimes guests don't use the second set & leave them. However, a lot of times guests take the second set as a "gift" I guess. They are nice toiletries. I'm wondering if I should switch back to not restocking in order to save money. Those guests stocked up at your place and were guilting you into supplying them with toiletries for a week. If I like the toiletries I take them home. But, I only 'stock up' if I'm at a hotel. I'd go back to replacing empties, not adding more to the pile. I also take only at a hotel. At a B & B O use the stuff in my toiletries bag from the hotels - I do not use B & B stuff as that is overhead. I try to be a non-user at a B& B.
I used to take them and then realized I had so many and no reason to. Then again, I'm a guy... I'll wash my hair with soap if needed.... I'm not fancy. I don't restock except for toilet paper and soap if needed. Except for multi day stays I rarely need to restock the soap. TP mileage varies widely. I do use the individual soap and shampoo, conditioner. Most use the shampoo. Most longer termers bring their own. We have had many positive comments on them! They hold a shampoo, conditioner and body wash. Eliminates clean up and waste of all those little half used bottles! and....nobody knows you use a cheap nice smelling shampoo or wash! I have used Gilchrist & Soames packaged toiletries for the past several years. The ones I buy donate a portion of their sales to environmental efforts -- and they're labeled as such! A few guests have provided positive feedback them. Many guests seem to like to take them with them, aka the (room) strippers who also empty the candy dishes when they leave. I like the idea of in-shower dispensers, however I wonder about how the next owners of my home would feel about the holes in the shower tiles. I doubt our home would be purchased as a B&B and I would imagine that the tiles holes could be a bit of a turn-off. Ours have a couple adhesive strips and we have a one piece fiberglass shower unit. Seems strong enough so far! ...and less destructive! I am okay with using alcohol or goo-be-gone and a little scrubbing to remove it if we reach that point. Mine are held in by marine glue. Not sure how to get marine glue off, but I don't have holes. I took down a leaky dispenser and put brass -colored screws in the hols and then put silicone over the screws to keep water from going through the holes. It may not be pretty, but looks better than having the useless dispenser or water getting between shower and wall. Is there a tile patching compound? Simple choice - small quantity of grout to match existing grout or perhaps tile, mix and fill holes, let dry, if lucky and it is white on white and not much will show. Difficult choice - tool to remove (saw out) the grout around the tiles with the holes, carefully remove those tiles and replace with new tiles without the holes, of course that means you had to have a couple of spare tiles laying around or some decorative tiles that look like you meant them to be decoration. Grout section after replacement. Mine is a fiberglass surround 48 inch shower. Oops, sorry, was basing instructions on request for "tile patching compound", for fiberglass it may be worthwhile checking with an automotive body shop as fiberglass is used in certain automobile bodies and repair, it may be that they could offer a usable suggestion. Years ago I recall having stick on fish or flowers used in the floor of our tub to prevent slipping, perhaps an artful design cut from an stick on tub mat or a stainless steel design and stainless steel screws would cover the holes and look intentional, but perhaps not worth the effort. Great idea!! Will give it some thought for just the right thing. Put a dispenser likes Arks over top of the screw holes. All set! Actually, the movement is away from bar soap which is wasteful and non-environmental towards dispensers, even in the most expensive of hotels and cruise lines. It cuts the waste and the less plastic, the better. I completely get it. But you will get a few that will turn their nose up at it and write a bad review. Most of the time I just take my own and don’t worry about it. But then I’m an innkeeper and get to travel very little. It's just not a problem. I've been using them 5 years now. Nobody has ever said a word about them, one way or the other. I do have a "green" notice in the bathroom about the dispensers saving the trashing of hundreds of little plastic bottles every year. I first saw these Gilchrist & Soames dispensers at a very upscale B&B in England and we all agreed they look great. Arks, can you post your wording or pic or your sign? I've blocked out my inn name, logo, and phone number. What I write about the use of liquid soap dispensers is the paragraph at the bottom of the sign. I probably got my wording from you! I know I got it here, many years ago. Sadly, even with the dispensers we have to have the lockable type, because some people will empty them. empty them??? You mean, they bring an empty container and drain it or they just let it all go down the drain? My guess is an empty container they will fill at his expense. That's my conclusion, they have a nearly empty shampoo bottle with them so they fill it from our dispenser. Wow! You would have to be offering some really sweet shampoo for people to come prepared to drain the dispenser. Although .... I don't know if you recall my t.p. thief. She was struggling at the top of the stairs with her suitcase. I had just gone to the supply cupboard and was shocked to see our t.p. supply depleted. Suddenly, her suitcase popped open and all the rolls of t.p. bounced down the stairs (individually wrapped, thank goodness). It wasn't great t.p. ... soft enough and got the job done, but I bought it because it was economical buying in bulk. Maybe something was 'wrong' with her. If you need to steal t.p. and shampoo, you really shouldn't spend your money staying at a b&b. That's what I love about the Gilchrist dispensers. You can only remove them with a hex wrench. But it wouldn't surprise me to find that some guests will stand there and keep pumping until they fill their own little bottle to take with them. I used clear soap for the hand soap.... USED... had a guest use it for hand laundry. I now have soap with a blue tint... they don't use it for hand laundry. Im glad to see this is working. I'm sure that little note you have is very helpful. How can you argue with that? I might have to try this in one of our rooms and see how people like it. I can have both in the room and see if the little bottles are left. That would be great. Well, when they find it at 5* hotels, they will just have to get over it. I've seen Bulgari in dispensers. I still use the small shampoo and conditioner bottles plus individually wrapped soap. (Greenwich Bay) I like the custom labels. I just plain like them. Sometimes people take them with them as souvenirs. Works for me. I tried a new soap from a company also in Resources here: Emz Blendz. They have a cedar-like fragrance that G Bay doesn't have. They also custom label but its just a band around the soap, not a total envelope. Nice looking labels though and the company is one state over from me. They were so fast at getting out their samples. I use their soaps in our self catering vacation apartment. I don't provide bottled water. That plastic bugs the heck out of me. Hopefully I'll evolve out of the shampoo bottles too, but for now they still make me happy. One of our rooms has the dispensers like Arks's photo, the other 2 have Aviva dispensers. We buy 5ltr containers from Highland soaps, trying to keep it local and people like that. I've always put out a bar of glycerine soap for those who don't like dispensers, but I have refillable wall-mounted dispensers in the showers and at the sinks. Mine are from Gilchrist & Soames. They give a nice clean look and when things begin to look worn, I just replace the old bottles with inexpensive new ones. The frame that holds them is stainless steel and easy to keep like new. Unlike in this photo I found online, I insist my housekeepers always leave all the pumps pointed straight out. Little details matter! Arks, Can you tell me where you purchased the holder? Those are Gilcrest & soames. That type of pump bottle is the way to go. I had the dispense from the bottom and after about 10 years, my firstones started leaking. The replacements leaked even quicker. G & S is abit pricy, but they DO have good product. Those are Gilcrest & soames. Yes. Wonderful and classy-looking dispensers. Mine are 5 years old and still like new. Funny, they are bilingual... but definitely French-French. It's not après-shampooing here, it's revitalisant, here. I've always enjoyed the French on the soap bottles. Makes me feel so continental and sophisticated. Funny, it makes me chuckle to see that Anglicism for conditioner. At the NE Inn we have something like this one below. It is easy to install, keep clean, and works well. The guests like that it is in the shower ready for use. I went through all the rooms and refill them all at one time. When we wash the tub or shower we clean them and we lift the covers to wipe the inside ledge as well. At the sink we have mini bars of soap for each person staying and a liquid soap in a clear pump. At the PA inn we use little bottles and soap bars from Greenwich Bay with the inn's name on it. Shampoo (because real poo is icky), conditioner and body wash in dispensers. Hand soap in dispensers. We don't have soap because we have glass showers and soap leaves soap scum which increases the work that I and the housekeeper has to do... otherwise it's just a little Dawn to clean the showers... someone uses soap and we have to pull out the big guns. We keep an extra dispenser around because no matter how securely they are on, someone once a year usually manages to break one. For the most part rather easy to refill, we do it about once a week. The hardest is the conditioner, as you need one that is thinner... if it's too thick, it won't come out... and disgusting people will open it up and put their fingers in to take some. Otherwise happy as can be and it's environmental. I do prefer translucent or clear hand soap. I've had at least one guest try to use it for laundry, which is why I prefer it have a colour, even if it's just a little bluish tinge to it.